Ronald Pahl is from Findlay Ohio. I picked up my 1st camera when I was 9 years old (Yashica FR1). I got it from my dad who was doing portrait photographer. I found out that I really liked action, sports photography. Throughout high school I was taking all the sports action photos for the year book and developing and printing them in the school dark room. Years later I began doing Motorsports photography, taking photos from Open Wheel, Indy, Nascar, IHRA and Motorcross and was published may times in racing publications. I opened my portrait studio 10 years ago in downtown Findlay but I still love the challenges of action photography. I'm a member of the PPA and the PPO. In this program you will learn how to use a Pluto Trigger plus what equipment you will need to capture a very unique image. 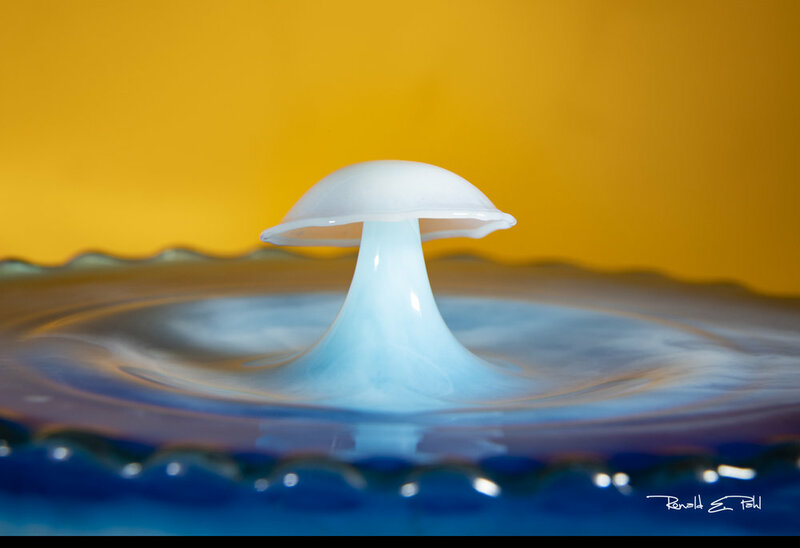 We will be be setting up and taking some photos of water drops.